We’re already a quarter of the way through 2019 and onto our third box of the year! Our first boxes of 2019 received incredible feedback but we think we’ve absolutely nailed it with this one. Featuring some amazing artisan products with beautiful scents you won’t want to live without. If you’ve stumbled across this post and wondering what this is all about: we’re The Personal Barber wet shaving subscription. 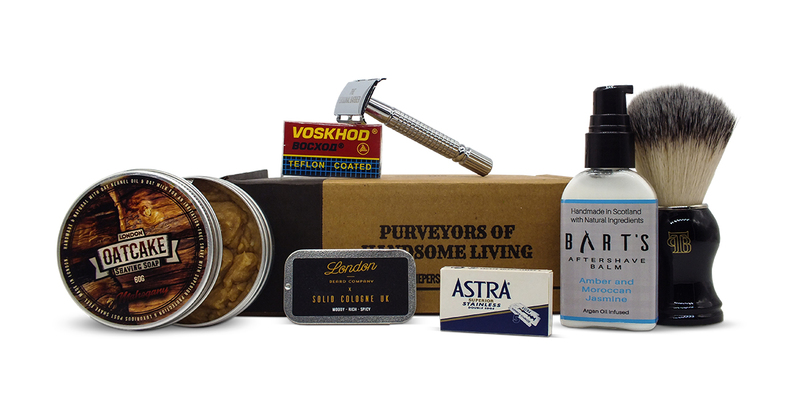 Every 6 weeks we curate a selection of only the finest wet shaving gear from all over the world with the sole purpose of turning our subscribers’ daily chore into a satisfying experience to look forward to. 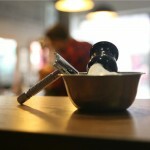 Forget mass-produced plastic cartridge razors that destroy the environment and give you nasty razor rash. 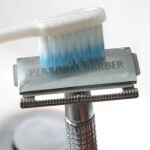 We’re spreading the word for the single blade razor because not only is it a joy to use, but it completely eliminates irritation such as razor burn, rash or bumps. If you’ve never used a classic safety razor or brush before, we’ll include one for free in your first box so you can discover just what you’ve been missing. Each kit follows a theme starting with shaving soap/cream, 10 DE blades and 2 mystery items that are always different and are drawn from a wide range of products by top quality brands from around the world. Oatcake Soap was created by London-based Edward Merricks in his hunt to find a natural shaving soap with skin loving ingredients that worked for both dry and sensitive skin. After countless hours of research, and using the feedback of the wet shaving community to refine his recipe, he has become an artisan soap maker to rival the best of them. After officially launching in only late 2018, the brand already has a loyal following of wet shavers that eagerly await each new batch. The soap itself is a natural, tallow based recipe including homemade organic oat milk for a nourishing and irritation-free shave. Every soap is part of a small batch made by hand so you know that every care and attention has gone into ensuring it’s the best possible quality. The skin loving ingredients include copious amounts of Mango and Shea butter for a thick, protective lather while Aloe Vera, Oat kernel oil and Lanolin aid for a silky soft post-shave feel. 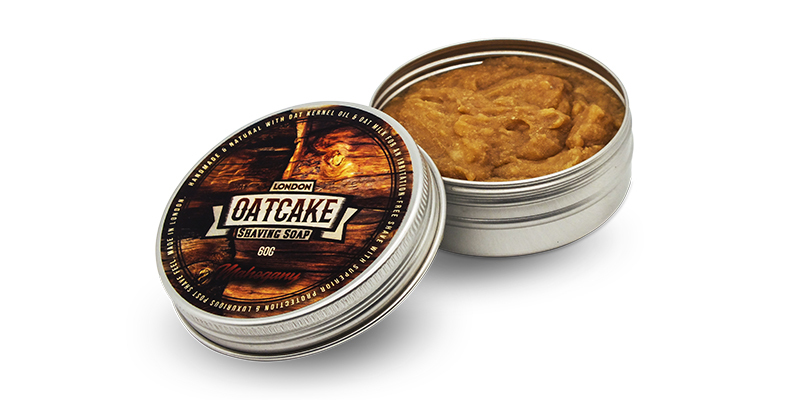 Oatcake shave soap will be your most comfortable shave yet. And we haven’t even mentioned the incredible scents yet! Featuring a small but strong range of mouthwatering fragrances, you won’t struggle to find something you love. We’re incredibly excited to be featuring a brand new scent to the Oatcake range, with our subscribers being the first to test it out. The Mahogany soap is a warm woody scent with hints of sweetness from the oatmilk. We’re confident you’re going to love it!. To use: Scrape off a small almond sized piece of soap and press it into your hand or bowl to increase the surface area. Then, using a damp brush, work into a lather. This shaving soap is a bit of a builder so keep adding a drop of water at a time until you’ve hit the perfect whipped cream consistency. 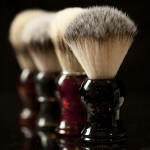 Alternatively you can load your brush directly on top of the soap however this will reduce its longevity. If you do this, make sure to let it dry in the open after use. 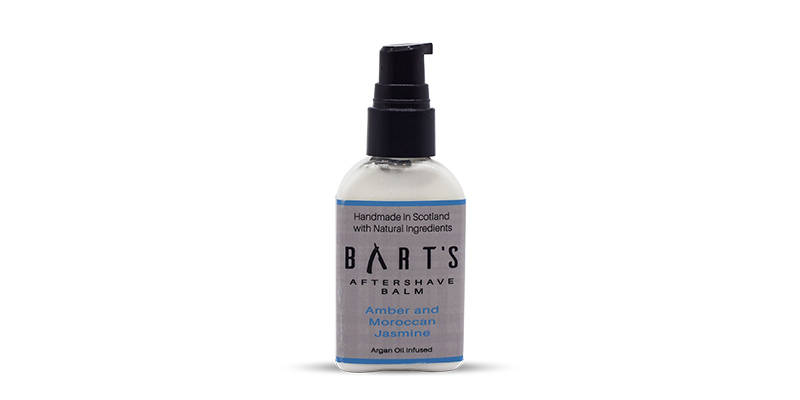 Bart’s Balm is an artisanal male grooming brand from Scotland that create small batches of handmade skin loving products. Each balm is formulated using natural ingredients chosen specifically to help combat shaving rash and cool, sooth and nourish your skin. In particular, every balm uses high quality Argan oil because it’s one of the best skincare products available, combining unparalleled soothing, calming and moisturising properties. This is then combined with the moisturising and anti-inflammatory properties of coconut and Grapeseed oils for an all-round dose of skincare nirvana. We’ve decided to feature their Amber and Moroccan Jasmine balm which is a warm and delicate scent comprising notes of Amber, Moroccan Jasmine, Blackcurrant, Bergamot, Rose, Patchouli, Musk and Vanilla. It smells incredible! To use: Immediately after shaving, apply a small amount of balm onto slightly damp skin and massage until fully absorbed. 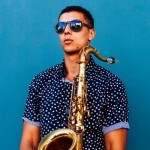 Forget your common alcohol based aftershaves! Solid cologne is the convenient aftershave product no gentleman should be without. It’s portability means you can keep it on your person at all times and ensure you always smell great even when on the move. The handy little tin means it’s discrete to apply and moisturising ingredients make it kind to the skin (no alcohol). 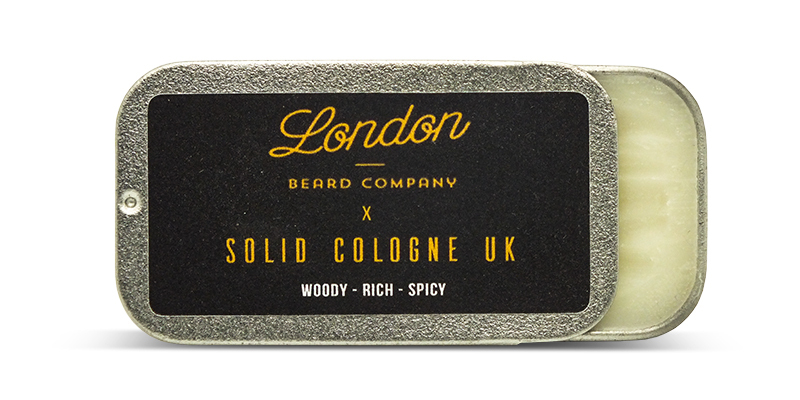 London Beard Company are a stylish brand from the Capital that create handmade batches of oils and balms using the finest natural ingredients for the bearded gentleman. 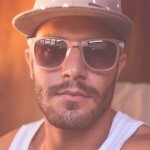 Fortunately for us shavers, their solid cologne can be used whether you’re bearded or not. This concentrated wax-based fragrance is a woody, rich and spicy scent that starts with opening notes of cardamon and black pepper, heading to a rich middle blend of oudh, sandalwood, leather and vetivert. Base notes include amber and vanilla. Remember with fragrances that they develop over time and mix with your natural musk so don’t judge it directly from the tin. You’ll notice the depth of the cologne after it’s been on your skin for a few minutes. To use: Gently rub your finger over the balm and then apply to your pulse points such as your wrist, neck and behind your ears. We use the pulse points because they heat up the cologne, making it last longer. Want a stronger scent? Use the back of your nail to scrape off a larger quantity. The more you use, the stronger it will be. Another favourite amongst seasoned wet shavers. 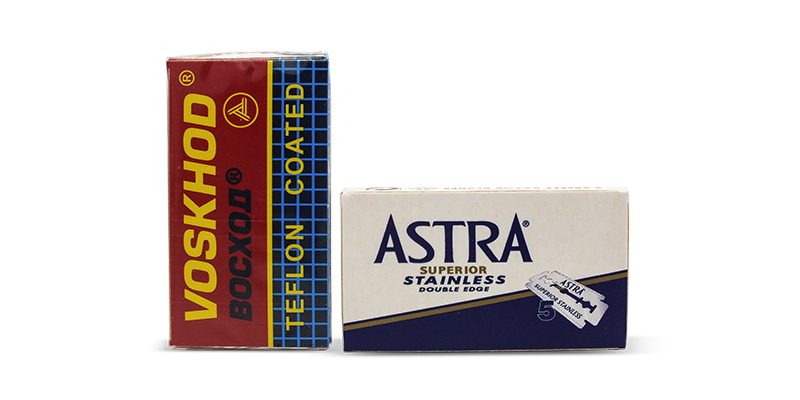 Voskhod are another brand manufactured in Russia and give great shaves for all beard types. A relatively sharp blade with a smooth finish. Lasts 3-7 shaves depending on beard thickness.